Potentially giving smaller law enforcement agencies a hand in fighting crime, IBM has migrated its CopLink search service to the cloud, minimizing the amount of work needed to hook into the North American crime-fighting database. CopLink is one of a number of services in the company's new Safer Planet portfolio for public safety agencies. IBM acquired the CopLink database in 2011, when it purchased analytics software company i2. In November, it released a version of the CopLink client that works on portable devices. More than 6,000 law enforcement agencies in North America use CopLink. Run in partnership with the International Justice and Public Safety Network, CopLink collects information about known criminals that can be easily searched. 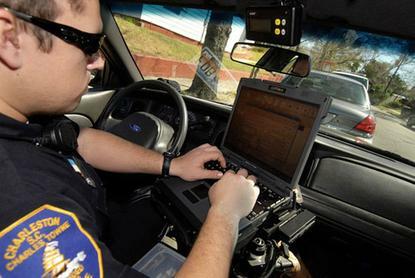 An officer on the street can connect to CopLink through a laptop and search by license plate number, or partial license place number, or by other bits of information about a person such as nicknames or tattoos. The service will return information collected by other law enforcement agencies, such as those serving a nearby county. CopLink also can pinpoint information on a map, highlighting the volume of criminal activity, such as robberies or arson, within a specified geographic region. By moving CopLink to the cloud, IBM is hoping to make the service easier for smaller law enforcement agencies to use, in particular those without large IT staffs who would otherwise be required to wire CopLink into existing back-end infrastructure. "Situational intelligence is the key to making the world less dangerous. The more we know, the better prepared we are when the worst happens -- and the more likely we are to be able to prevent it," wrote Robert Griffin, IBM general manager for the Safer Planet portfolio, explaining the CopLink update in a blog post. The Safer Planet portfolio will include a range of services for government agencies that use information to better prepare for, and respond to, matters that may impact public safety, such as crime and natural disasters. For Safer Planet, IBM also teamed with the Weather Company to prepare a service that can let communities know when a hurricane, blizzard, tornado, or some other natural disaster may be imminent. The new service, called the IBM Intelligent Operations Center for Emergency Management, collects and analyzes weather information, both current and historical, so it can determine more accurately when a potentially catastrophic event may take place within a certain geographic region. Such information that can be used to alert the public and give first responders time to prepare.